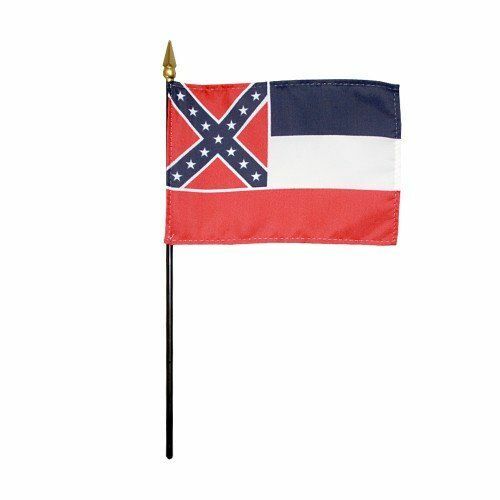 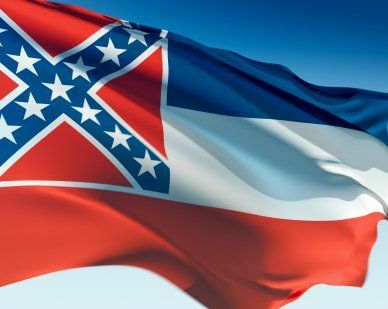 AmericanFlags.com is proud to carry Mississippi State Flags in a variety of materials, and styles, in sizes ranging from 4 IN X 6 IN to 12 FT X 18 FT. All of our Mississippi flags meet official specifications, are on sale right now and are ready for immediate shipping to your door. 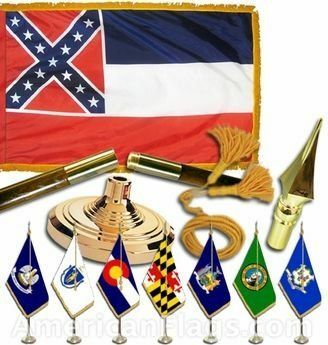 Featuring a small version of the Union Square, or Confederate Battle Flag, in the upper left corner, the Mississippi state flag was adopted in 1894. 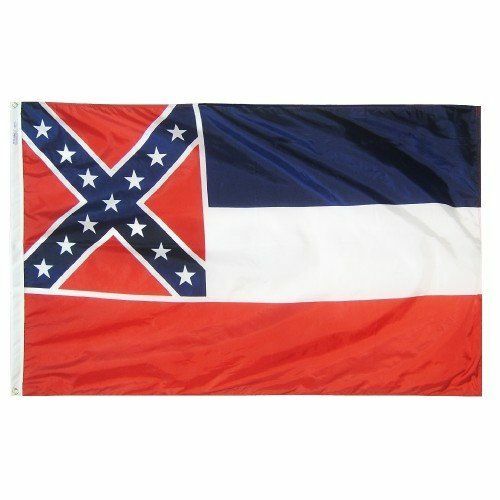 The Union Square features 13 white stars on a St. Andrews Cross which symbolize the 13 original U.S. colonies.